You might not think the Fredericksburg region has any link to Boston, but it does. Boston is the northern end of what urban scholars call the Northeast Megalopolis, a string of cities and dense suburbs along the Interstate 95 corridor that is home to about 55 million people, all living in about 2 percent of the U.S. land area. 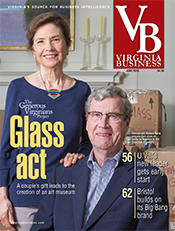 Experts used to define this 500-mile corridor as ending in Washington, D.C. Nowadays, however, the end point is 50 miles south, in the Fredericksburg area, which has been growing rapidly for decades. Workers keep moving to the area, with most of them commuting to jobs north. 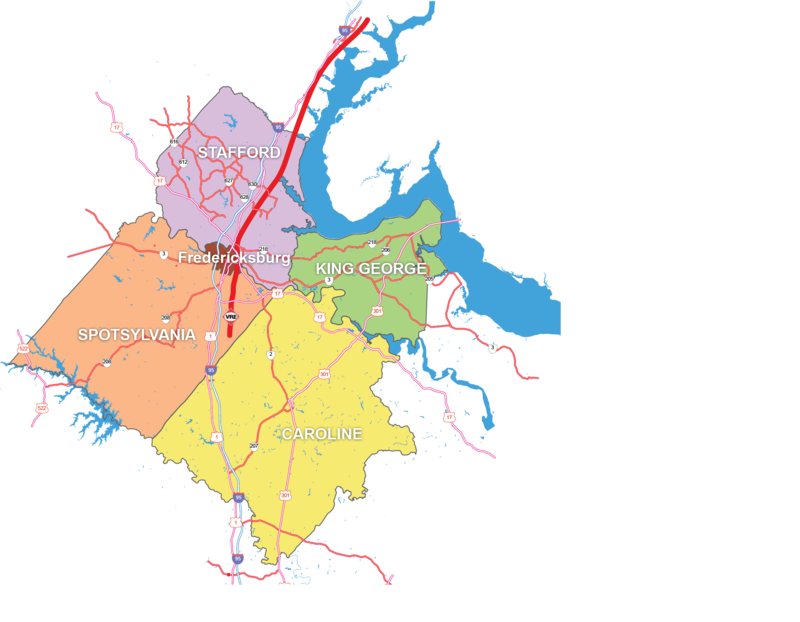 The Fredericksburg region includes the city of Fredericksburg and the counties of Stafford, Spotsylvania, Caroline and King George. 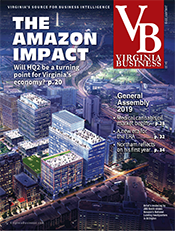 Here’s how fast the region’s population is expected to grow, according to forecasts from the University of Virginia’s Weldon Cooper Center for Public Service: between 2016 and 2040, Virginia will grow by about 21 percent, to 10.2 million people. 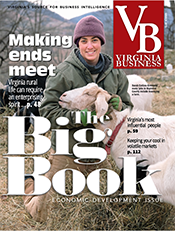 The Fredericksburg region, however, will grow more than twice that rate — up 43 percent, adding about 151,000 people and topping half a million total residents. 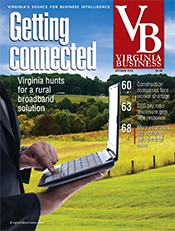 See detailed growth patterns for the region. In raw numbers, most of these new residents are settling in Stafford and Spotsylvania counties. Those two counties make up 77 percent of today’s population and will have pretty much the same share in 2040, according to the Weldon Cooper Center. That means that out of the 151,000 new residents, nearly 119,000 will live in these two counties. It’s not hard to figure out where many of these new residents will live. Developers and the local governments generally are steering development to where the roads or rails are, or where they will be. Interstate 95 dominates everything when it comes to development in the region. Spotsylvania’s most active growth is around the interstate exit at mile 126, its northernmost interchange, and that’s what the county wants. 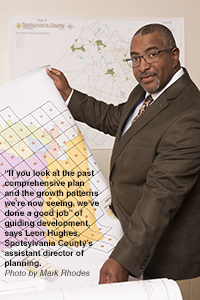 “If you look at the past comprehensive plan and the growth patterns we’re now seeing, we’ve done a good job” of guiding development, says Leon Hughes, the county’s assistant director of planning. Among the developments is Jackson Village, which hasn’t been built yet. Plans call for 2,270 residential units on 241 acres along U.S. 1 near I-95. It is a mix of apartments and condos and single-family homes. That project was approved in 2015, along with the Alexander’s Crossing, a 701-acre mixed-use development. The two developments will be linked by a four-lane bridge over the interstate if all goes as planned. Also on the books in this part of the county is the 1,060-home Heritage Woods subdivision, on 378 acres along U.S. 1. Hughes says the bigger, single-family detached housing developments are not making much progress now, but apartment projects are. 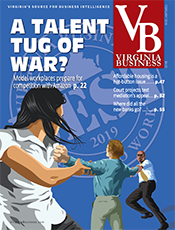 Apartments have been a hot trend in real estate in a lot of urban areas in Virginia in recent years, and Spotsylvania is seeing that trend, too. A few miles east of I-95 is the southernmost station of the Virginia Railway Express, which opened in 2015. There are new apartment homes being built on land between the VRE station and the interstate, many of them projects of the Silver Cos., a major local developer. They’re pretty fancy, and a short drive to either the interstate or the VRE station. 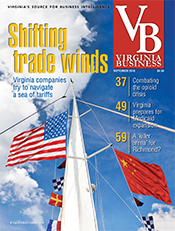 There’s also plenty of shopping and restaurants nearby, and a hospital, Spotsylvania Medical Center, which is attracting medical office projects. The sense among county planning staff is that many new residents have left parts of the country that have been hurting economically for years. Jacob Pastwik, a planner for Spotsylvania, is from Buffalo, N. Y., and says he’s found a lot of former Buffalo residents here, looking for work. “There’s a lot of people here who are not from here,” Pastwik says. The presence of military personnel drives up demand, too, for temporary housing along with young adults who need rental space they can afford. 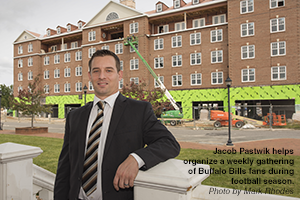 During football season, Pastwik helps organize a weekly gathering of Buffalo Bills fans to watch the team’s games on television. “Every Sunday there’s a whole community” of Bills fans with roots up north, he says. In general, a lot of these newcomers are coming for jobs in the region, which had an unemployment rate of 3.9 percent in July. But, many will commute north to jobs in the Washington, D.C., region. So, in an important way, the new transportation improvements in the Fredericksburg region only make it easier for its residents to commute. Here are details on three transportation projects. The new VRE station in Spotsylvania has been open since late 2015, and the two-mile extension of the Express Lanes on I-95, now under construction, will bring those lanes into central Stafford County. That project is expected to be complete next year. Plus, work has begun on a new $150 million interchange on I-95 in central Stafford. That’s a big deal because it will create much better access to land that the county and the private sector want to develop. The project is supposed to be finished in 2020. That interchange and a second one about five miles away near the county’s northern boundary will welcome a lot of the region’s new residents. The Embrey Mill community is an 831-acre development on the west side of I-95 between those two interchanges. At build-out, the development could have up to 1,800 homes. Also adjacent to the new interchange is a proposed project by Stafford-based Garrett Development. The company has about 1,000 acres on the west side of I-95 and has been seeking county approval for a development called George Washington Village. It’s planned as a mixed-use development that Andy Garrett, the company’s founder and president, says would have 1,200 residential units, including single-family homes, townhouses and apartments, along with commercial space. 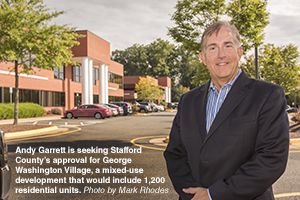 “George Washington Village could be an absolute winner for Stafford County,” Garrett says. He’s been working with the county for several years to win approval. Garrett also says that, with the road improvements in his project and in the Embrey Mill development, county residents would have a major north-south route parallel to I-95 on the west side of the interstate. Currently the county has U.S. 1, on the east side of I-95, as its only other north-south corridor. 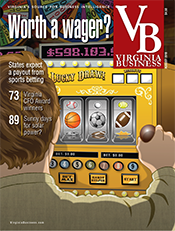 While the big counties of Stafford and Spotsylvania plan for big population growth, the region’s three other localities are expecting growth, too, but at a much lower level. King George County to the east has just fewer than 25,000 residents today and is expected to grow 41 percent by 2040. And Caroline County at the region’s southern end is expected to remain significantly smaller than its northern neighbors. It is also going to grow more slowly, according to Weldon Cooper projections. Its current population of about 30,000 will rise 35 percent by 2040 to 40,000. 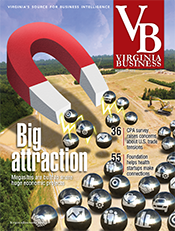 Neighboring Spotsylvania, by comparison, is expected to have 181,000 residents by 2040. In the middle is Fredericksburg, which has experienced a building boom of sorts. Several downtown condominium projects are either completed or under construction. The city’s population is expected to rise more than 43 percent by 2040. Another prediction supported by the Weldon Cooper data is that the megalopolis likely will not get longer during the next 20 years. Shonel Sen, a research and policy analyst at the Weldon Cooper Center, agrees that this giant corridor now extends to the Fredericksburg region, but it might stop there for awhile. 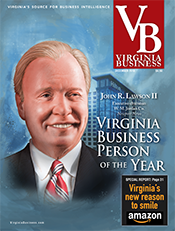 Between the relatively rural Caroline and the city of Richmond is Hanover County, which is expected to grow by about 20,000 people in the next 20 years, to 127,000. 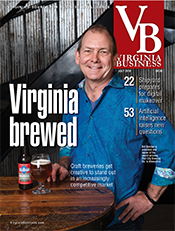 That’s substantial growth, but not on par with what the Fredericksburg region is going to see. 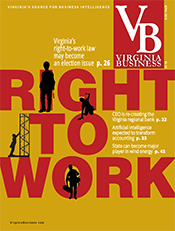 “Richmond is further away and does not have a population size high enough to include it [in the megalopolis] and stretch it all the way to the Hampton Roads region,” Sen says.